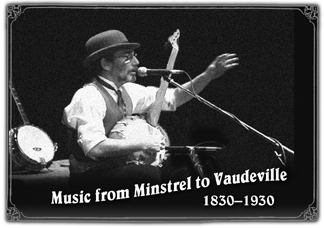 minstrel show tunes, ragtime, early jazz, vaudeville, bluegrass & swing. One hour, 75-minutes or two hour concert. A sing-a-long visit through the youth of vaudeville, broadway, and radio with our old friends Gershwin, Berlin, and Jolsen. ballads, hot jazz & swing. Also available as a full band (Hot Potato!) for your Gatsby event. 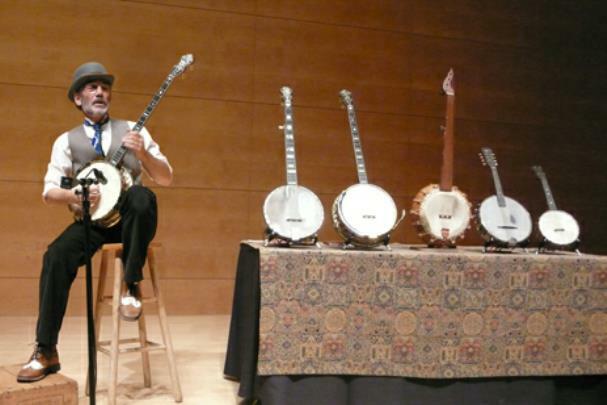 Banjo-ology, with a lot more silliness! up-tempo selections, and the musical lunch bag! 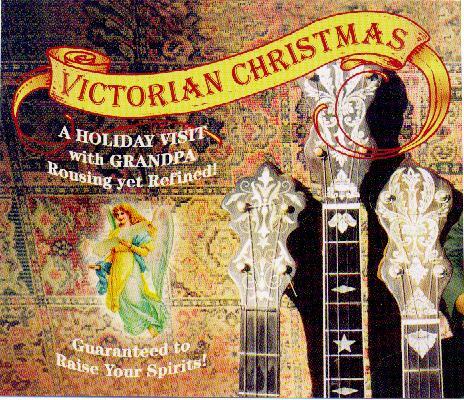 Fun & Educational ~ our living, singing history! Study guides available for upper & lower grades. 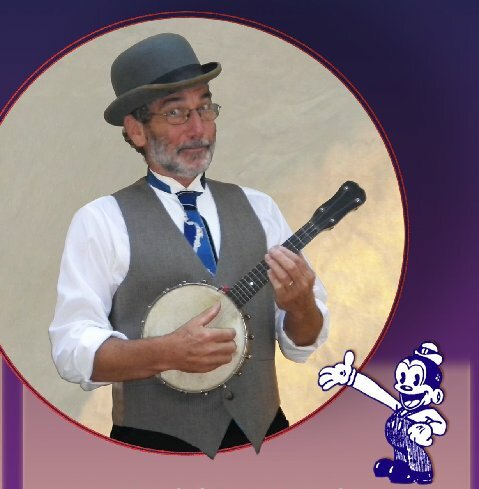 30, 45 or 60-minute "Kid's Concert"
Our musical heritage comes alive, through four century-old instruments, a gentle comic commentary of our country's formative years, and the favorite songs of your grandfather'grandfather. A neighborly visit to our ancestor's daily lives. 30 minutes to 2-hour concert. The first 100 years of your town. whose names you read on your street signs and buildings. These are the songs they hummed while leaving the old theatre, taking the buggy to the bank, and your great-grandmother to the dance. This is the soundtrack to all those old photos. You'll never drive through town the same after this one. A custom conmmissioned concert of your city. 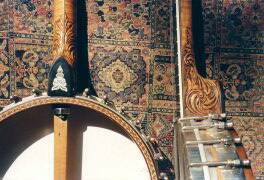 The audience is encouraged to ask questions & inspect the movable museum of antique instruments. These are very relaxed audience involved events . 1. 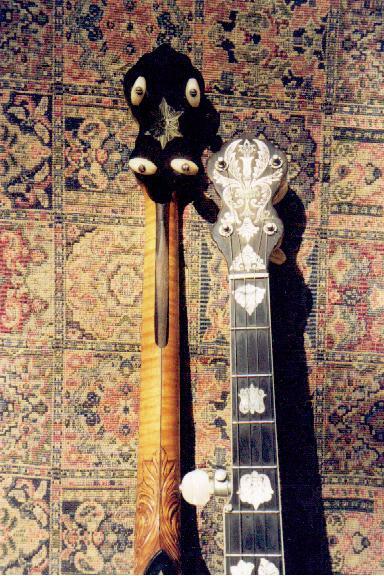 Early Jazz Banjo From chunking to blazing lead instument. 1920's chord melody style, direct from the ol' boys to you. 2. 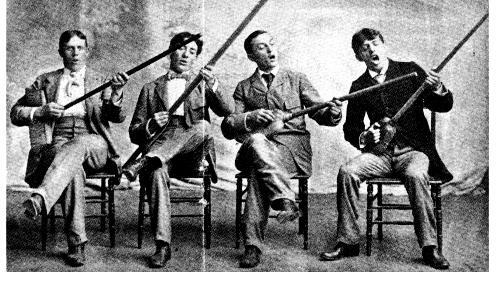 Secrets of Early Banjo Styles An entertaining expose' for general audiences, lots of examples ... less talk! 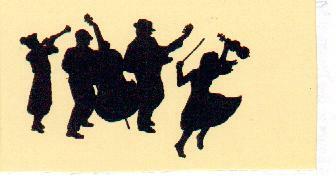 Old-timey, pre-Scruggs, bluegrass, plectrum, and swing. "SHOW BUSINESS - THAT'S TWO WORDS"
Arts in the Real World. An insight into the nurturing, structure and delivery of your talent. Universal business principles and promotion. A synopsis of 40-years in the visual and performing arts. 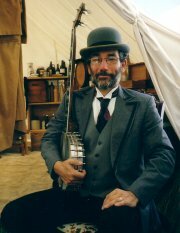 In the style of a victorian visit with funny uncle Gordy. There will be old-time sing-a-longs and interactive silliness. Holiday Specialties ~ Rousing yet Refined! Guitar, Violin, Clarinet, Bass, Vocals. Gorgeous melodies and jump swing ~ Sweet & Hot! They're like a Fred Astaire movie...with a Merrie Melody cartoon! Dust Bowl Melody of '34 ~ For a Woody Guthrey book release. Commissioned for a tour of state libraries. The African roots of popular music. helped to create what we now know as American music. and more, in this lively laughing and learning program. Introduces students to the daily life of the pioneers as they built California. and having fun with nothing. Your local history with a soundtrack! Your big city will feel different after this one. A shorter silly-er show for kids. the State of California, Nevada, and Oregon.